This civil war between my mind and heart only got worse when I arrived to college. Not only did I have the power of plastic, a whopping $500 credit limit on my Discover card, but also I did not have my mom nagging me about my incessant spending. The battle ended and I waved the white flag of defeat when my credit statement came in. How could I spend more than I earned? Minimum wage was not cutting it; I had to make a change. I began to list all the things I was spending money on: pizza, coffee, rain boots, pizza, coffee, CDs, pizza, coffee, etc. I started to see a pattern. It was time to start a budget. Instead of forking out cash at the coffee shop, I bought myself a coffee maker and brewed a fresh pot every morning. I began to cook everyday, make extra for leftovers to take for lunch and only go out for food once a week. Every paycheck was split: $50 to my savings account, $20 for fun and the rest to my checking account. This was a hard transition, but I integrated change slowly. Soon enough, I was able to splurge on something nice every once in a while. My credit card did not hate me, and I had peace of mind. This seems like a no-brainer, but it is easy to go overboard at the mall on payday. Been there, done that. Remember to set aside money for “fun” spending and do your best not to exceed that limit. Budget your paychecks and all other sources of income such as loans, grants and those nice checks that grandma sends. Nothing hurts more than not eating because your food money has gone to your rent and that new pair of shoes. Do not let that credit balance go too high. A rule of thumb that I try to keep is to never spend more than half of my credit limit. For example, on a $500 limit for my Discover card, I do not spend over $250. This keeps me from maxing out my cards and keeping my payments manageable. Also, if you simply make minimum payments, the interest will start accruing on your balance. No one likes to pay more than they have to. Similar to budgeting out your expenses, you should think about the long run when sorting your cash. Put a set amount of money each paycheck into your savings account. Slowly but surely you will get into the habit of deducting this amount, and you will build up a nice chunk of money for a rainy day. This cushion reserve should only be tapped into for an emergency. (No, Michael Kors watches are not an emergency purchase). Our schedules are busy and that neon light at Taco Bell is luring us in. Resist the temptation and start having your own Taco Tuesday at home. If you are really in a time crunch, try making meals ahead of time and having them ready for a couple of days. Take snacks to class to avoid eating on campus and bring your own water instead of spending at a vending machine. Now when your friends go out, you will have some cash left over for a nice dinner with them. BOGO. There is no other acronym I love more. Stay on top of local deals at the supermarkets. “Buy one, get one free” is amazing. Stock up on your favorites when these sales hit the shelves. Do not buy in bulk just because you think it is cheaper. Make sure you are paying less per unit, if not, nix the 80-pack of toilet paper and opt for the smaller bundle. Search the web or download apps for coupons. These discounts will add up to lots of savings. WARNING: only use coupons on things you would normally buy. There is no need to save money on a lawnmower if you are still living in a dorm. Let’s be real, people. Before whipping out the plastic, take a good look at that item and think whether your piggy bank can handle this purchase. Have any financial advice you follow? Share your tips with us! 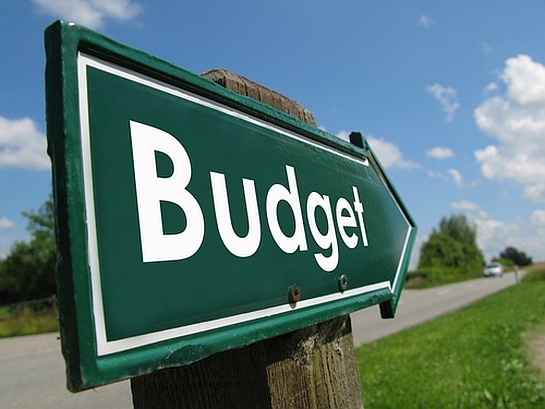 Here are some fun tools to help you budget!